Whether you’re still using your swimming pool or whether you’re closing it for the season, you may want to consider a swimming pool remodel project to take care of those pesky items that bothered you about your pool last swim season. There are 5 pool renovation ideas to consider that the swimming pool service contractors from SwimRight Pool Service and Repair in Scottsdale, Arizona work with customers on durng the off season. 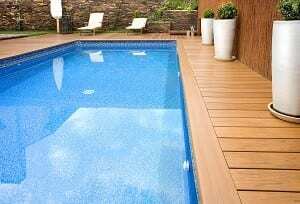 When thoughts turn to swim season and to having the pool of your dreams, other times your thoughts turn to items you want to upgrade and updated whether for aesthetic reasons or for functionality it’s best to do it when it’s not the height of summer. Updating pool equipment to energy efficient styles will help save money in overall pool operating, maintenance and service costs. Ask us what you should consider for a pool remodeling project the next time we pay a service visit. Go big and add a pool home! Put together your budget and give us a call. Let us inspect your pool and we will sit down with you and let you know what items need to be done in order to keep your pool functional. We will also let you know which items can be, or should be done to make your pool more functional and aesthetically appealing. Start today and you can have your pool ready for the 2019 Arizona summer.